Etsy is a great place to find unique, handmade items from a variety of talented artists/designers. Unfortunately, not everyone has the time to scroll through the vast amount of listings so we wanted to share some of our favorites to make your shopping a bit easier. 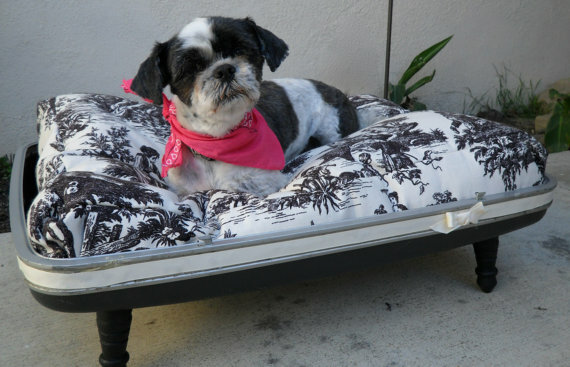 Pamper your pooch with this one-of-a-kind upcycled suitcase pet bed from Kaleidoscope of Colors. (We’re pretty sure cats will dig it too.) This adorable bed is also good for your pet because it helps keep your furry friend warm and may even help with warding off fleas. 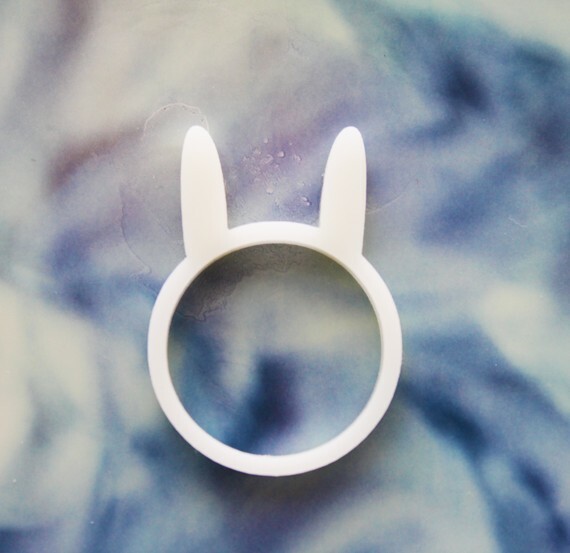 We were thrilled when we spotted this cute little bunny ring from iluxo. 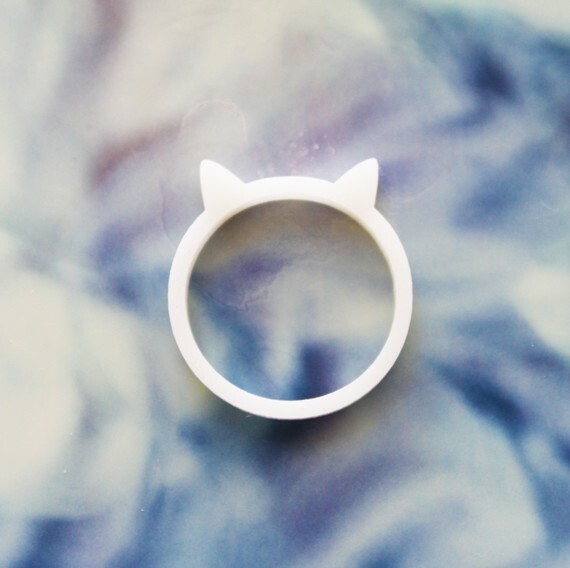 This off-white laser cut acrylic plastic ring is available in sizes 5,6,7, and 8. There is also one for cat lovers too! Fashionistas will go crazy over Vital Temptation’s artistic felt scarves. They come in a variety of colors and shapes and are oh, so pretty and fun. The crochet fingerless gloves are pretty neat too, especially if you’re going for that Victorian look. 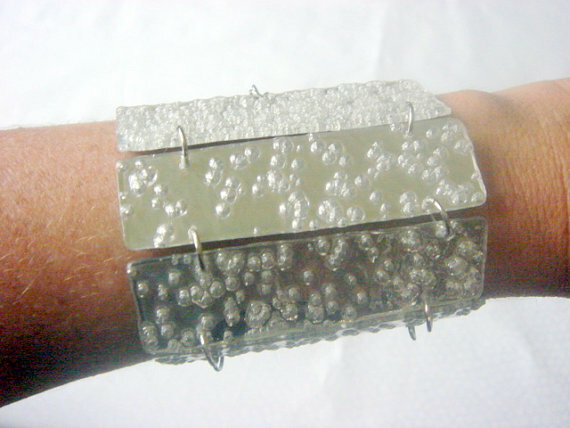 Of course we’re loving this superhero inspired upcycled CD cuff from Pop Culture Princess. Because what little girl didn’t want to be Wonder Woman when she was growing up. Lovely, thanks for mentioning my Wonder Woman cuff! So sweet :) Thank you for featuring my work! That was a pleasant surprise!! !